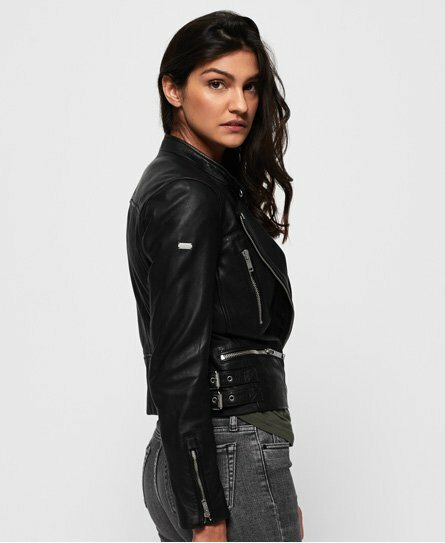 Superdry women's Lyla leather biker jacket. The ultimate wardrobe staple. This premium jacket is crafted from a buttery soft leather and features an asymmetric zip fastening and a round neck with a popper. This leather jacket also features four front zipped pockets, buckle detailing on the waist and zip fastened cuffs. Completed with a subtle metal Superdry badge on the sleeve, this versatile jacket can be worn day-to-night, and with just about anything.